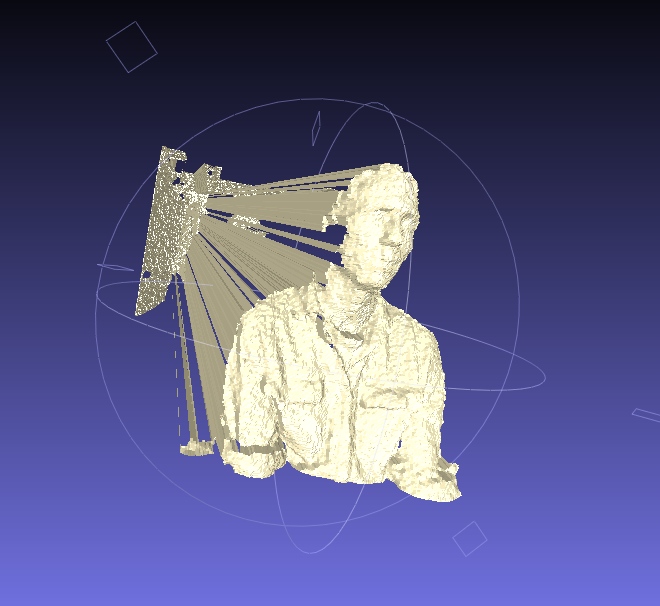 Nels Oscar worked with me last week and he wrote a sketch in Processing using the open kinect and peasy cam libraries to make a 3D scanner using the point cloud data from the kinect. The next step is to stitch together vantages to generate a full 3D scan. Our plan is to spin small objects with arduino stepper motor control on a rotating platform and find a way to map the space of larger objects while moving the kinect itself. Links with more information and example code will be posted soon. 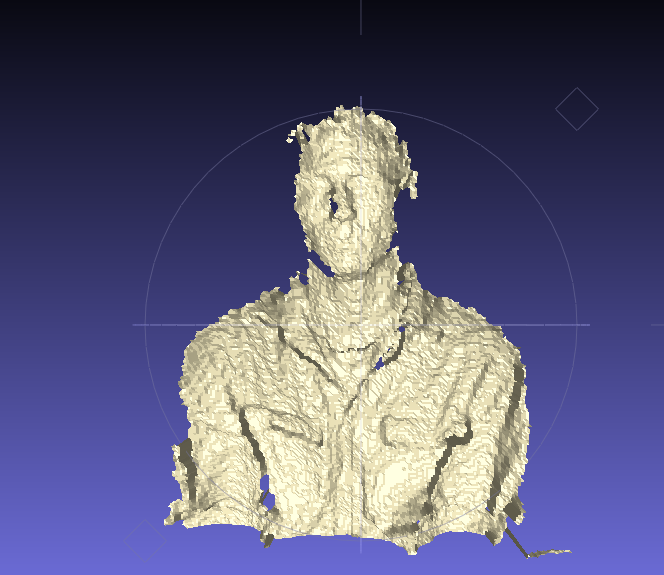 this image above is the kinect’s scan of my torso in meshlab after deleting the background you can see in the image at the top of this post.